Kaunas is the second-largest city and an economic and cultural centre in Lithuania. 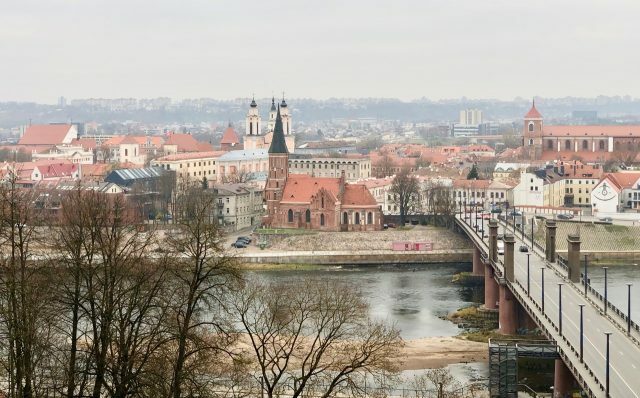 Situated at the confluence of the Nemunas and Neris rivers, approximately 100km (map) northwest of Vilnius, Kaunas is an easy day trip from the Lithuanian capital. 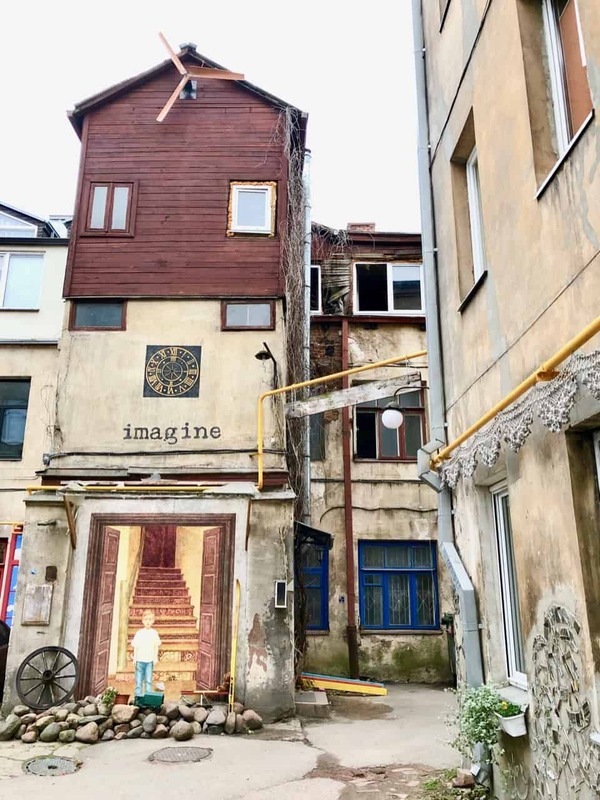 I wasn’t sure what to expect on my day trip to Kaunas but together with my driver/guide, I discovered quite a lot of things to see in this riverside city. Between the First and the Second World Wars, Kaunas served as the temporary capital of Lithuania. The city flourished during this period. In terms of architecture, Kaunas experienced somewhat of a renaissance, with the construction of many beautiful Art Deco buildings, particularly in the Bauhaus and Lithuanian National Romanticism style, in Kaunas New Town and the adjacent Žaliakalnis district. In fact, during the interwar period, Kaunas became known as ‘Little Paris’ because of its rich cultural and academic life, fashion, Art Deco architecture as well as a thriving café culture. Due to the splendid array of architecture, interior design and furniture styles stemming from the interwar period, Kaunas was designated a UNESCO City of Design in 2015. In addition, in 2022, Kaunas will have the honour of being the European Capital of Culture. 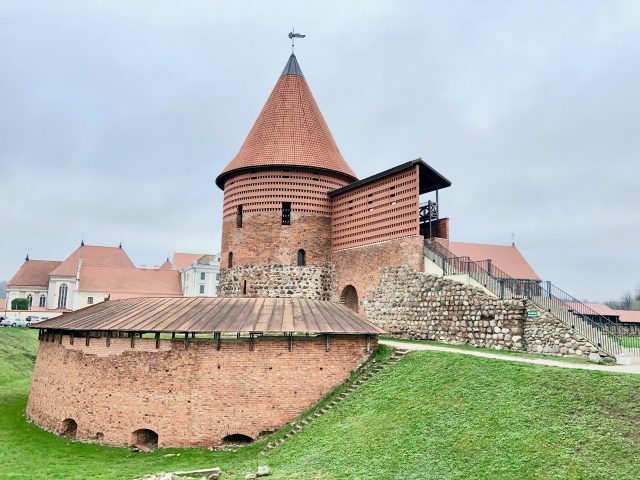 In short, there’s lots of things to see in Kaunas so if you can, I suggest spending a few days there to check out all the sights. My first stop was the 14th century Gothic style Kaunas Castle. 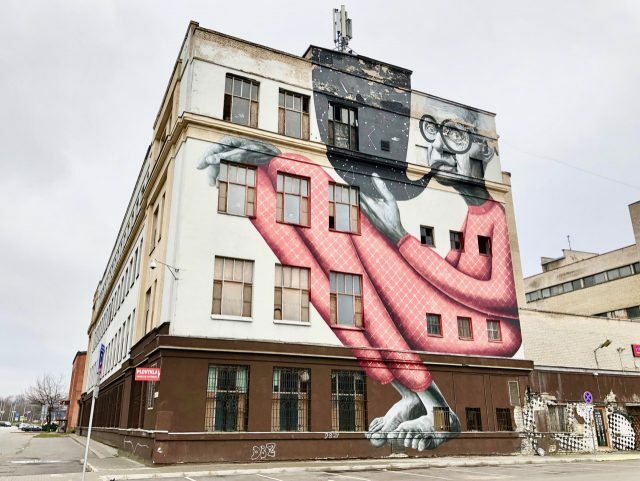 Just as I stepped out of the car, I noticed this cool piece of street art, called ‘The Old Wise Man’ on the side of what was once a factory. ‘The Old Wise Man’ on the side of this former factory. I then strolled over to the 14th century Gothic-style Kaunas Castle. It’s possible to join a tour of the castle and its impressive walls. After our visit to Kaunas Castle, we stopped at this chocolaterie at the Town Hall Square for hot chocolate and chocolates. And there were lots of chocolates to choose from! The Town Hall in the historic centre of Kaunas. From the Town Hall Square, we strolled down Vilnius Street, with its charming buildings. We popped into the Cathedral Basilica of St. Peter and St. Paul to admire the impressive Gothic interior. I loved the many brick buildings with their unique gables in the historic centre. 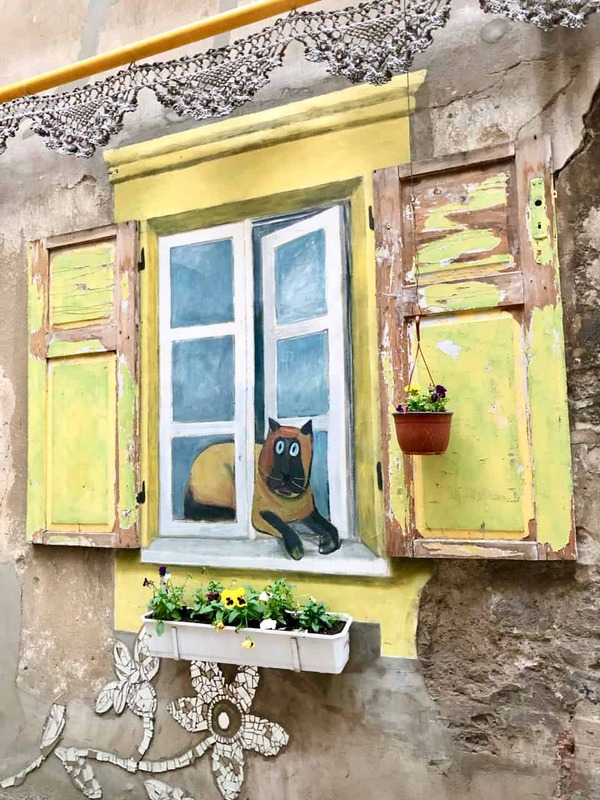 And as we strolled through the maze of lanes in the historic centre, I stumbled upon this beautiful piece of street art. Kaunas was an important Hanseatic trading city in the 15th century. Many merchants built gorgeous houses, such as this one, as their residence. After our stroll, we went to Momo Grill for lunch. It’s a great place for a meal with terrific food, local beers and wines. I had a delicious lunch at Momo grill! After lunch, we headed to the Aleksotas Observation deck on the other side of the Nemunas River. There, I got to check out the historic funicular railway which plies between the riverbank and the observation deck atop the hill. The Aleksotas funicular railway has been operating since 1935. The view of the historic centre of Kaunas from the observation deck, with the Nemunas River in the foreground. 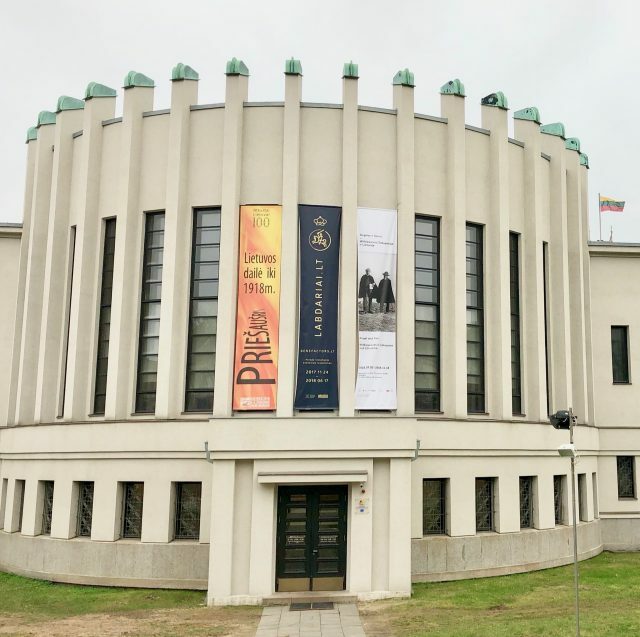 After the observation deck, we made our way to Kaunas New Town where I was delighted to see many examples of Art Deco and Bauhaus architecture. Another Art Deco gem. This building used to be the US Embassy (during the interwar period). There was also lots of intriguing street art in this district. We visited the M.K. Čiurlionis National Museum of Art. Established in 1921, the museum is one of the largest art museums in Lithuania. I enjoyed both the Art Deco building the museum is housed in as well as the beautiful art collection. The lecture theater inside the museum was just beautiful! One of the galleries in the museum. I especially loved this gallery with its thought-provoking pieces. 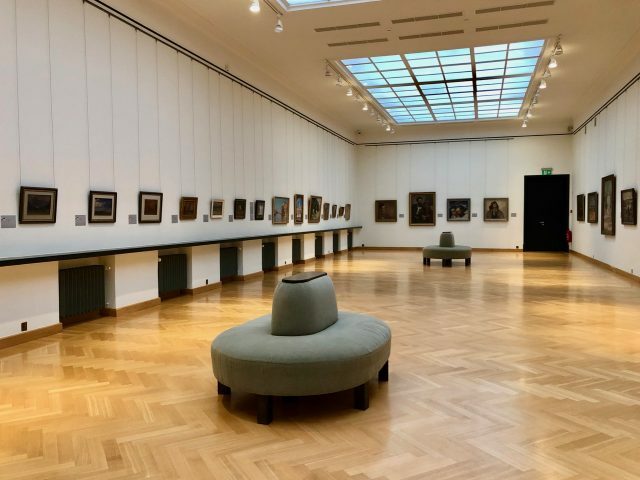 Find out more about the Ciurlionis National Art Museum. Across the road from the National Art Museum, I saw another museum: the Devil’s Museum. I was curious but decided to continue my stroll and check out more Art Deco buildings and street art. And I’m glad I did because I stumbled upon this stunning Art Deco church just down the road! 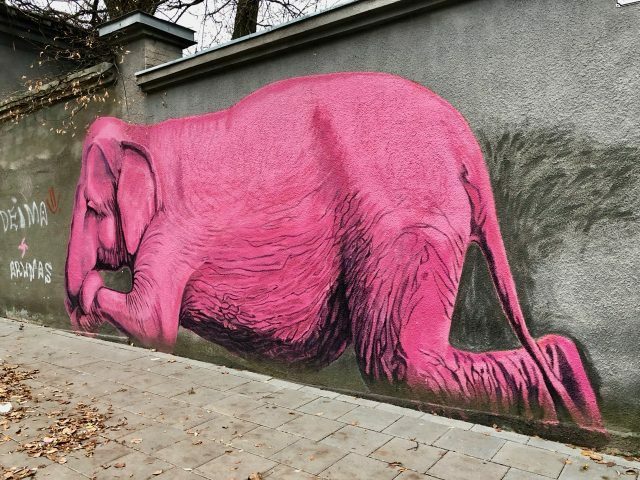 And this big pink elephant! And this cute doorway and windows. 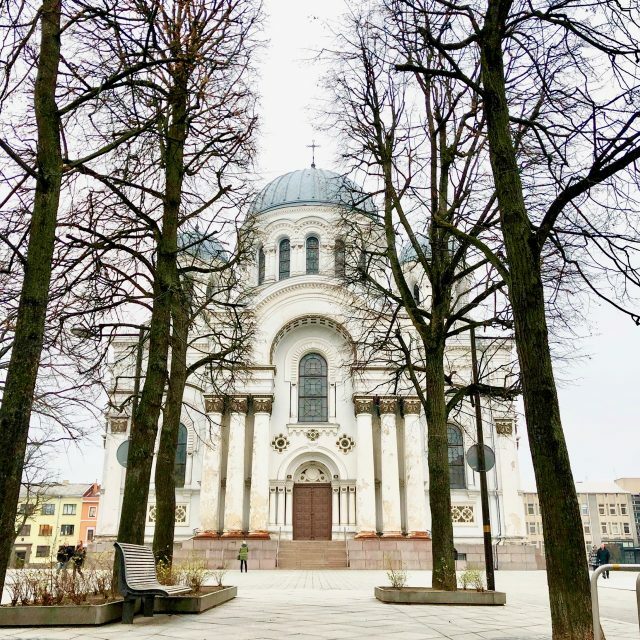 Check out this tour of Kaunas with a local. My guide led me through a lane into a courtyard which he explained was the Courtyard Gallery. I absolutely loved the quirky, colourful art in this courtyard! Three ladies on a red bench. The entrance into one of the apartment buildings in the courtyard. A cat in a window. Read about my stay in Birstonas, the spa resort town of Lithuania. From the Courtyard Gallery, we made our way to the Laisves avenue, with its plethora of shops and cafés. At the end of the it is the imposing St. Michael the Archangel’s Church. The St. Michael the Archangel’s Church. 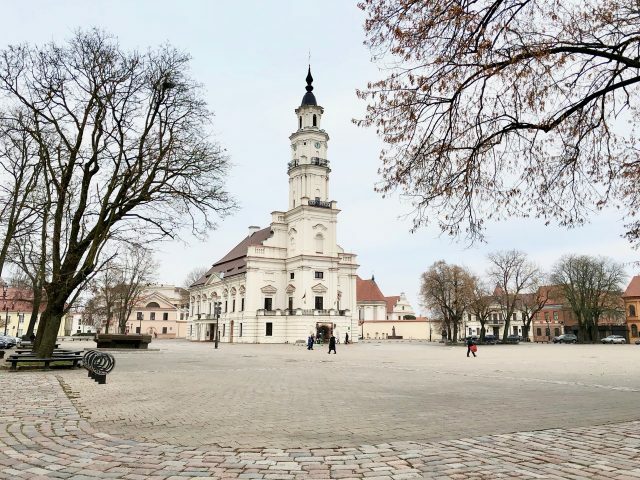 It was a short visit – I could easily have spent a few days in Kaunas and explored more of the city in search of more Art Deco gems – but this day trip to Kaunas from Vilnius gave me a very good impression of the city. 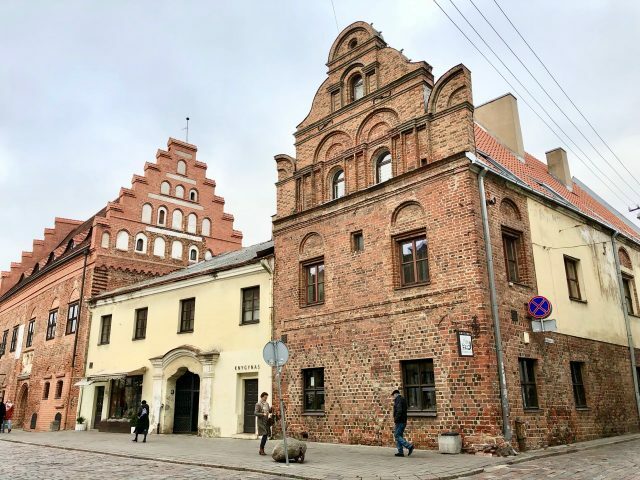 The charming cobblestone streets and brick buildings in the historic centre form a stark contrast with the Art Deco architecture and street art in the New Town, making Kaunas a fascinating city to explore. Visit Kaunas Tourism for more information. Kaunas is easily reachable by regular bus services from Vilnius. Kaunas also has its own international airport served by various (low cost) airlines from major European cities. Read about my stay at the five star Hotel Pacai in Vilnius. Note: my visit to Kaunas was made possible by the Lithuanian Ministry of Foreign Affairs and Visit Kaunas. As always, all views expressed above are mine, and mine only. I’m really hoping to visit Lithuania this year and will definitely be taking a trip to Kaunas if I get there. Have bookmarked this post to refer back to when that time comes 🙂 it looks like you saw a lot during your day there. I especially love the graffiti on the 3 ladies on the bench! Thank you so much for the post with so many photos. I love seeing photos. I am from Vilnius myself but visited Kaunas so many times. Your post brings back so many memories.